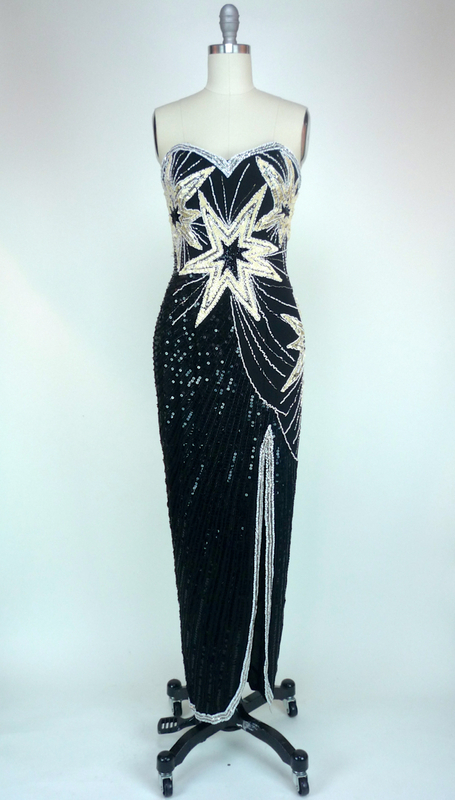 Drop jaws in this strapless, Sweetheart neckline gown in beautiful black sequin, over black, silk body contouring Princess cut. 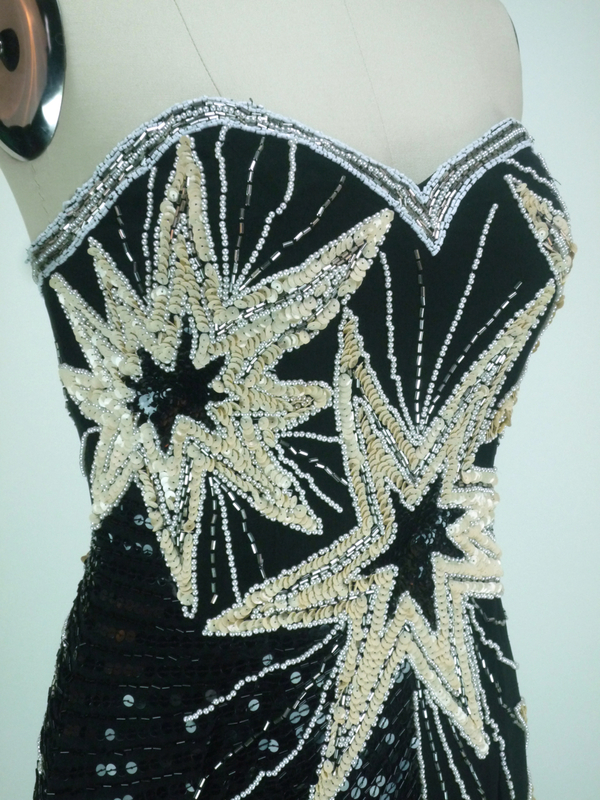 Creme sequins, white sequins, silver bugle beads, and pearls align into a star pattern on bust and centre. 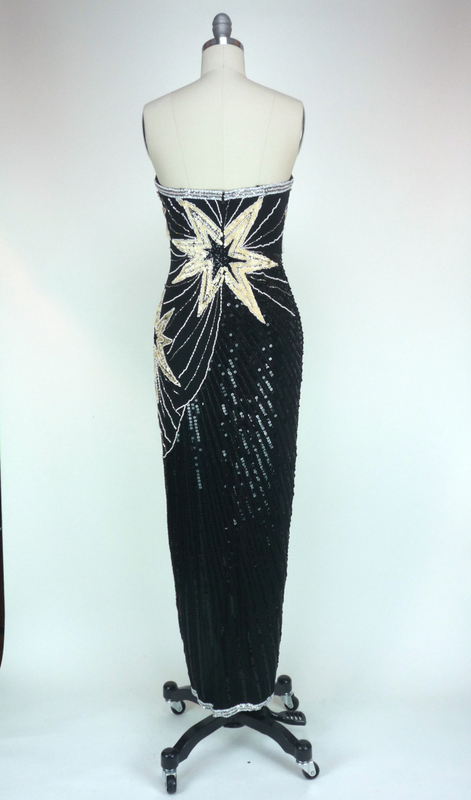 Skirt is Formal length, dramatized by a silver beaded left slight a mile high. Strappy stilettos, in metallic or neutral, for a traditional glam look. Or, go with something a little more modern and edgy, like light ankle booties, or a metallic flat.